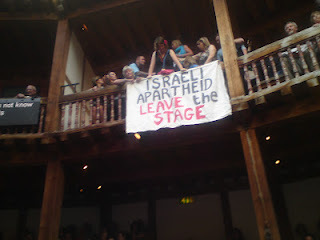 During a second night of protests at Shakespeare’s Globe theatre on Tuesday, almost 20 peaceful protesters brought their message of opposition to Israeli apartheid, colonisation and settlement into the auditorium. As during Monday’s performance of the Merchant of Venice by Israeli National theatre Habima, absurdly tight security failed to screen out pro-Palestinian activists intent on unfurling banners or flags, making peace signs while standing with their mouths taped, and in a few cases, shouting apposite slogans. The slogan Israeli Apartheid Leave the Stage also arrived by Thames riverboat on a huge banner which was then escorted ashore by police. Protesters were filmed being monitored by well-known Zionists at Monday night’s protest. This footage from inminds shows interviews with participants in the action and eloquent commentary from Haim Bresheeth and Mike Cushman of BRICUP and J-BIG. On several occasions on Tuesday the actors were obliged to pause while protesters were removed by specially hired private security staff who seemed a little less heavy handed than on the first of Habima’s two London appearances. This may have been a deliberate decision given sympathetic media coverage for protests on Monday (see below) when it was clear to any objective observer that bullying behaviour was directed at peaceful activists who were themselves calm and restrained. Even so, over-zealous staff threw out one hapless audience member, entirely unconnected with the protests, because he insisted on following an English text of the play, being performed in Hebrew, on his Kindle. Presumably this was taken for some potentially threatening device! A young protester unjustly arrested on Monday for allegedly assaulting a member of the security staff while being dragged out of the theatre is understood to have been charged and released on bail. 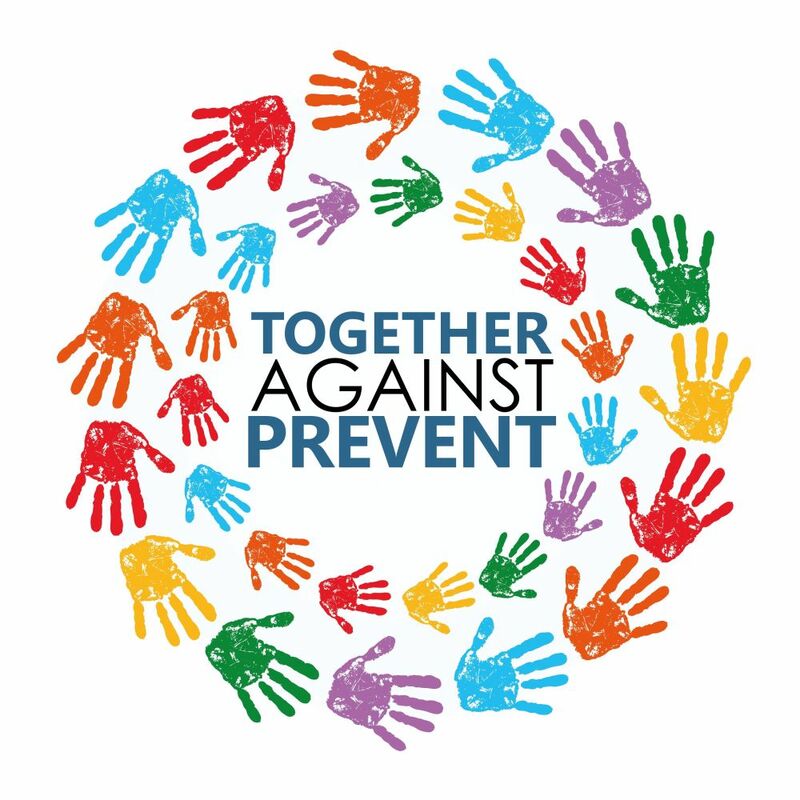 Media coverage in the mainstream news and arts pages was overwhelmingly positive in giving a fair hearing to the intended message of the protests. Here is a selection. This entry was posted in BDS, culture, globe theatre, habima, israeli national theatre, theatre and tagged Cultural Boycott, habima, Israel. Bookmark the permalink.